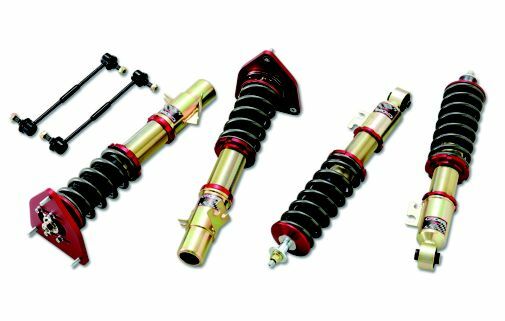 Cross Competition Series coil overs are among the best in the industry and have some features that make them well worth the investment, especially for those that reqularly race and track their MINI. They feature lightweight design with a 15 way dampening adjustable monotube damper, built in camber plates, cool bend linear rate springs, adjustable lower mount (awesome!! ), helper springs, and more!